After many requests, we went ahead and added a vBTruth forum. Feel free to drop by and share your feedback, thoughts, stories or anything else you feel like. I’ve been watching from the sidelines as the Internet Brands PR machine have been spinning and spinning everything possible. We saw the launch of vBulletin 4.0 Alpha.. I mean Beta (heck, it feels like an early Alpha) on vBulletin.com. But between last week’s announcement, and this week, I wanted to know what have you decided as a license holder. I’ve seen it all on the last few weeks, but Internet Brands spins it that they’re achieving record sales. Yet the question I want to ask to everyone is Who what have you honestly decided? Stay? Moved to IPB? MyBB maybe? Or another solution? Let’s try to quantify the number of who has actually decided to stay or move on from Internet Brands and vBulletin. Leave a comment and let the world know whether you decided to stay or not, and why. Did you read this? A new policy on forum moderation. 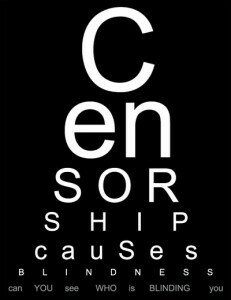 We’re being censored. We’re being silenced. As vBulletin has grown over the years we have often allowed posts on our forums which frankly are not constructive and which other companies would not allow on their sites. We have done this in the belief that most people can be reasonable and conduct themselves maturely and constructively. We still believe that most people act this way. However it is clear that this policy has only opened the door for types of conduct and comments that are simply over the top and not acceptable. This is going to change as of now. Please be aware that we will no longer allow posts with non-constructive rants, inflammatory language and trolling on our forums. We are aware that some people are used to being allowed to get away with such things. But beginning now that will no longer be the case. Such posts represent a distorted picture to current and potential customers and while we would like to be able to trust people to act maturely, events have proven that is simply not possible. We will, of course, continue to respond to real questions. To the vast majority of our customers that have supported us over the years and that have responded to the vB4 Pre-sales event positively with their record orders, we say thank you and will do everything in our power to reward your faith and vote of confidence with exciting new things for the future. If you didn’t catch this particular portion, well I’ll shine a bit of light on it. Such posts represent a distorted picture to current and potential customers and while we would like to be able to trust people to act maturely, events have proven that is simply not possible. It pretty much allows Internet Brands to deem any post as distorted and delete it. So much for the ability to post constructive feedback. First, a disclaimer: I’m not a lawyer, and I will not pretend to be one, so please consult one to verify my opinion. I’m merely voicing a legal opinion based on my understanding of law. Second, I’m tired of reading on vBulletin.com from Team Members and Internet Brands that they have not violated the license agreement. They are correct that they have not violated the licensing agreement. However, our vBulletin license is governed not simply by a license agreement; it is also governed by contract law. We as license holders entered into a contract agreement with Jelsoft (now Internet Brands) when we purchased a vBulletin License and that contract is still very much enforceable. Jelsoft promised to sell us a license for vBulletin. Jelsoft ALSO promised a set price for renewal of vBulletin. The promise at the purchase of my license was $30.00, however I also agreed to a price increase of $40.00 before sixty days or $60.00 after sixty days on April 29, 2008. This in essence is part of an ACTIVE contractual agreement. The contractual agreement (implied and expressed during the pre-sales process) states that after one year, we are entitles to another year of downloads should we pay a certain said rate, thus the price being forty United States Dollars ($40.00) before sixty (60) days or sixty United States Dollars ($60.00) after sixty (60) days. With the acquistion of Jelsoft, Internet Brands assumes fidicuary responsibility and therefore our contract agreement is with them. However, with the introduction of vBulletin 4, they’re trying to force us to buy a new license and into a new contract. Here’s the problem: They’re breaking our original contract (promise) to allow us to renew at the 40.00/60.00 rate. They’re forcing us to accept a new contract and new license agreement. The problem is they can’t make us. They can’t force us into a new contract. As of right now, they’re in breach of a contract by not allowing us to renew at our previous promised rate. We have to enter into a new contract at our choosing. I think it’s time we take a hard look at what Internet Brands is saying. True they have not violated the license agreement, but that’s only partially the truth. We still have an ACTIVE contract with them. Until we accept the terms of a new contract, we’re still bound by the old contract, just as Internet Brands is bound by the old contract. Where’s the proof? See http://www.vbulletin.com/forum/showthread.php?t=268714. It’s written out. It’s expressed. It’s considered part of a contract. I encourage everyone to print out a copy before that thread mysteriously “disappears”. Don’t let Internet Brands confuse you. Don’t let Internet Brands change the terms of YOUR contract. We as license holders still contractually bound and it’s time we remind them to uphold their end of the contract. Ever since Internet Brands bought Jelsoft Enterprises Ltd in 2007, the activity of James has been dwindling.James has not posted or even logged into the vBulletin forums (no last activity recorded) since January of this year. In April of this year, one member sifted through some documents from the Companies House, suggesting that James had quit his role. vBulletin Staff insisted that James “was very much with us” prior to closing the thread. Right now, the support staff are bearing the backlash from the customers, but where is James? Is it true that he has retired completely from Jelsoft? There are many question unanswered, and Internet Brands wants them to remain unaswered. Internet Brands operates communities for anyone to speak. But more importantly, are they truly listening to their customers and what they are saying? 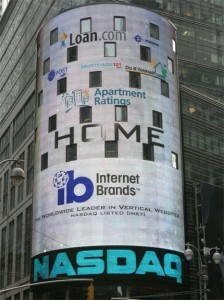 I’m merely one of many voices out there who is not happy with Internet Brands (NASDAQ: INET). In my eyes, Internet Brands has destroyed a flagship product. Internet Brands has killed the goose that layed the golden eggs. Internet Brands has completely demoralized a community based on honesty, truthfulness, integrity and openness by silencing those who appear to be the most vocal against Internet Brands, Jelsoft and vBulletin. I think it’s time we put a stop to this. We need to shout together with one common message and at the same time. If one of us shouts, Internet Brands will not hear us. If we shout together as a chorus, they will hear us whether they want to or not. Banning customers is not solving the problem; it’s only compounding the problem. Rather than spending time banning customers, Internet Brands should spend the time getting to the root of the problems and concerns, and address them one by one. If they finally address the core concerns and problems, it will help license holders, and themselves. It’s time Internet Brands face customers instead of hiding in the shadows. It’s time they have they man up and turn to license holders for help. It’s evident they have no idea what they are doing, and they’re alienating, scaring, and panicing customers. Here’s a free bit of advice from a consultant: Internet Brands: WHEN IN DOUBT, ASK THE CUSTOMER. GET FEEDBACK. DON’T EVER GUESS. I am one of the many co-founders behind this site, but we as Founders realize we’re only a small voice in a sea of many voices. In the last few hours, I’ve seen high praise for vBulletin. I’ve seen criticism. I’ve also seen people leave. I want to give all sides an opportunity to share their voice here. My voice is but one voice, but YOUR voice is important. Tweet us your interest on Twitter. Don’t let Internet Brands silence you. If they can’t take the heat, they should not have lit the fire. I was driving down the street and I watched some 1st and 2nd graders jump up and down, and skip across the crosswalk as they’re escorted by their parents to go home from school. Cute little kids I thought. It reminds me of the old concepts you learn, like FREE Play. But then it dawned on me. The old adage applies. Nothing is ever free. After picking up some milk from my market and I started pondering while waiting at the checkout line: Is vBulletin 4 Series Truly free? My conclusion: NOPE. NADA. ZIP. ZILCH. It’s not free. This is how it works. Your terms of your old legacy license will still be carried forward. It will be honored (oh joy….). But to qualify for future updates, you’ll need to purchase a vBulletin 4 license. So exactly how is that free? That’s my question. Oh and let’s not forget that wonderful $80.00 support fee they’re now wanting from us so we can talk privately over support tickets. Anyone want that $80.00 price tag slapped in there? I however, think the most sad thing is the misinformation customers have bought into and are now spreading. Customers have drank the punch or the IB flavored Kool-Aid. They’re wearing the new IB Rose Coloured Glasses. They’ve been conned and scammed to believe that they’re truely getting vBulletin 4 for free. Internet Brand claims the vBulletin 4.0 Upgrade is FREE, but is it truly free? Think again. This is how it works. Your terms of your old legacy license will still be carried forward. It will be honored (oh joy….). But to qualify for future updates, you’ll need to purchase a vBulletin 4 license so you can get your updates. Folks, WAKE UP. We’re being scammed. They’re trying to lessen the hurt buy sugar coating everything. The reality is we’re still going to have to buy a vBulletin 4 License even if we want vBulletin 3 updates. So much for free right? vBulletin 4 Pricing Scheme is a Scheme! We’re not just license holders; we’re also stakeholders as well. We many not own shares in Internet Brands, but we certain play an important role. But let’s just look at license pricing here. It might be difficult for non-vBulletin license holders to understand, but let me speak from a business perspective and maybe that will shine some light. Let’s establish some facts and simplify some of the logic. A owned license, as it suggested, deemed a license holder a lifetime owner for vBulletin. After a one year period, any version updates, regardless major or minor, required a $30.00 fee to regain another year’s access to downloads. On April 29th, 2008, a new pricing scheme was implemented. Owned Licenses: $180.00, with a year’s download access costing $40.00 before 60 days after a license expired, or $60.00 after. On October 13, 2009, another new pricing scheme was implemented. Let’s say you have an owned license. Under the old scheme, you received free upgrades for one year with your license purchase, at which point you either renewed or did not renew. If you renewed, you received another year of upgrades. If you did not renew, then you could continue using the last version available to you prior to expiry. Under the new scheme, if your owned license is not expired, you still get upgrades until your license expires. Once your license expires, you are in the same situation you would have been in under the old scheme. You will either upgrade (renew) or you can continue using the last version available to you prior to expiry, and that includes the vB4 Forum package. The term free comes in because there is not going to be an additional charge for you to upgrade to the vB4 Forum package with an active license. You will continue to get upgrades just like you did under the old scheme until your license expires. On a related note, let’s say you have an active, owned license and you upgrade to the vB4 Forum package, and then your license expires. Just as with the old scheme, you upgrade (renew) or don’t. This time however the pricing scheme is different. Instead of the yearly $40/$60 renewal fee, the renewal (upgrade) is based on series so you would get upgrades for the life of the vB4 series. As to the cost, it is $175 to go from an expired, owned license to the vB4 Forum series. The $175 is not a yearly fee; it is a fee to continue to get upgrades on the vB4 series, e.g., vB4.1, vB4.2, etcetera. This price is not yet displayed to you on the purchase page because vB4 Forum licenses for upgrades are not yet available. The $195 price you see is for new vB4 Forum licenses, not upgrades. In summary, if you are interested in the vB4 Forum upgrade path, you get the vB 4.0 Forum upgrade and updates to the vB4 Forum series until your license expires. At that point you will need to pay the upgrade fee in order to continue getting updates on the vB4 Forum series. If you are interested in the vB4 Suite upgrade path, you pay the upgrade fee now to get on the vB4 Suite series and will receive all updates to the vB4 Suite series. Did your head spin even more? My eyes rolled into the back of my eyes…..
For the sake of argument points, let’s just boil everything down to some numbers and let’s think about the overall cost. vBulletin version 4.0 Suite License costs 235.00/285.00 Respectively for a new license. vBulletin version 4.0 Forum Only Licenses cost 175.00/195.00 Respectively for a new license. For us holding old licenses, it costs us 130.00/250.00 respectively to upgrade to vBulletin 4 License. Let’s just forget for the moment that some of us are Project Tools and Blog License Holders as well as that just complicates the math. I prefer things to be a bit clear. So for those holding legacy licenses, it costs $160.00 or $180.00 per license plus the upgrade fees. Each of the above prices are more expensive than a brand new regular license. I don’t care if it is pre or post sale. At the cheapest rate (which the really old vBulletin license holders bought licenses at), there is a 55.00 cost difference. Is Internet Brands trying to tell me it really costs them $55.00 in administrative fees? That’s like 1-2 years of free upgrades. Is Internet Brands telling me it will be close to that long of a commitment? At 40.00 a year for renewals, it’s 3-4 years of upgrades before you recoup that cost. at 60.00, it’s between 2-3 years. Either way, you’re stuck for that long and it’s one expensive upgrade. Let’s look at those who got hurt really badly and likely will have to pay 145.00 on top to get a new vBulletin 4 license just to get patches and updates after one year. I really feel sorry for those who got screwed out of their money. These are the people who really got hurt and all because they just bought their licenses recently. Personally, I feel Internet Brands did not deserve to take your money and slam you for “upgrading”. Plus they’re taking away our lifetime ticket and email support. Yup. No more support from the ticket system, yet we’re still getting charged more. Chances are you’re going to need it since there’s more frequent versions. So now tack on another year’s worth of support charged at 80.00 per year of support. It’s far cheaper and more economical to buy brand new licenses from Internet Brands no matter what. The 235.00 Price is still cheaper than the 290.00/310.00 PreSale Pricing. The 285.00 price is more cheaper than the 410/430 postsale pricing. And who knows… maybe this was their intention all along…to force us to buy brand new licenses. And if your eyes completely rolled into the back of your head and did a second roll, just take away this: We’re getting screwed. BIG TIME. Did your head spin even more? My eyes rolled into the back of my eyes. It’s far cheaper and more economical to buy brand new licenses from Internet Brands no matter what. The 235.00 Price is still cheaper than the 290.00/310.00 PreSale Pricing. The 285.00 price is more cheaper than the 410/430 postsale pricing. And who knows. Maybe this was their intention all along; to force us to buy brand new licenses. Before I start anything, let me welcome you. Welcome to vBtruth.com. Needless to say, I’ve been here a while. But if you need a reference point, I’ve been with the vBulletin family since version 2.2.x series. I’ve decided enough is enough, and that I can no longer keep my silence. Ultimately, I’ve decided that I need to put my thoughts out here with fellow vBulletin owners where censorship is out of the reach of Internet Brands and that I can post my thoughts without fears of reprocussions. I will be the first person to admit that I probably should have spoken up sooner after the acquisition of Jelsoft and vBulletin. All the signs were there. Simply put, the acquisition is considered a defining moment, a crucial moment in the history of what vBulletin is. It’s a point where vBulletin will either succeed or fail. Thus far, nothing presented has instilled any confidence whatsoever, and is further compounded by the sudden and unexpected resignation of many developers who use to work on vBulletin. As you’ve probably figured out, I’ve seen many things during my time here with vBulletin. The changing of Project Managers. The new team members. The new faces of Jelsoft and Internet Brands. But for the moment, I want to shine a light on vBulletin 4, and what a complete and utter mess it is. Simply put to the investors and stakeholders of Internet Brands, You should be asking questions, and asking the HARD questions. The questions shouldn’t be will I get a return on my investment, but rather are your actions maximizing my return in the best possible way? I would argue no. It is my opinion that Internet Brands is trying to rapidly increase revenue and maximize return, however, they are going about this in a way that has certainly rubbed customers the wrong way. Certainly the bottom line is important, but the reality is that in the attempt to add more value and cash into your investments is going to leave a negative return on your investment. I will explain more and let you do the math and draw conclusions. Internet Brands no longer has the favor of customers. Certain decisions and their outcomes have shaken the community one too many times. The goodwill has been burned through. Trust and Loyalty has been thrown out the window. Years have been invested in order to build up a solid repuitation and brand, and it has taken Internet Brands a few months to destroy it and leave many of its most loyal customers frazzled, concerned, upset, and uncertain. Are you frazzled like me? I hope you’ll stick around and air out your dirty laundry with us. P.S. Special Thanks to a few vBulletin friends who stepped up to provide hosting and domains. We’re rather grateful they’re sticking out their necks a bit to provide some space for us. Thus far, nothing presented has instilled any confidence whatsoever, and is further compounded by the sudden and unexpected resignation of many developers who use to work on vBulletin and other significant actions that have completely undermined the confidence of all license holders.